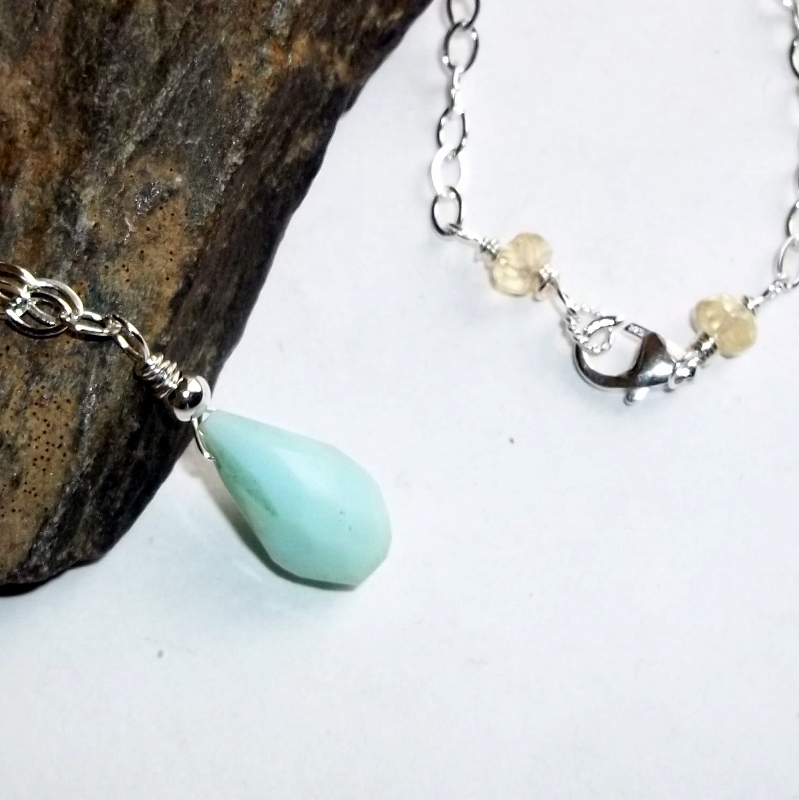 A Peruvian blue opal gemstone set on a sterling silver necklace with citrine gemstones in the clasp. Blue opals facilitate spiritual understanding and help with knowledge retention, excellent for students. Blue opals ease restlessness and help with dream recollection. 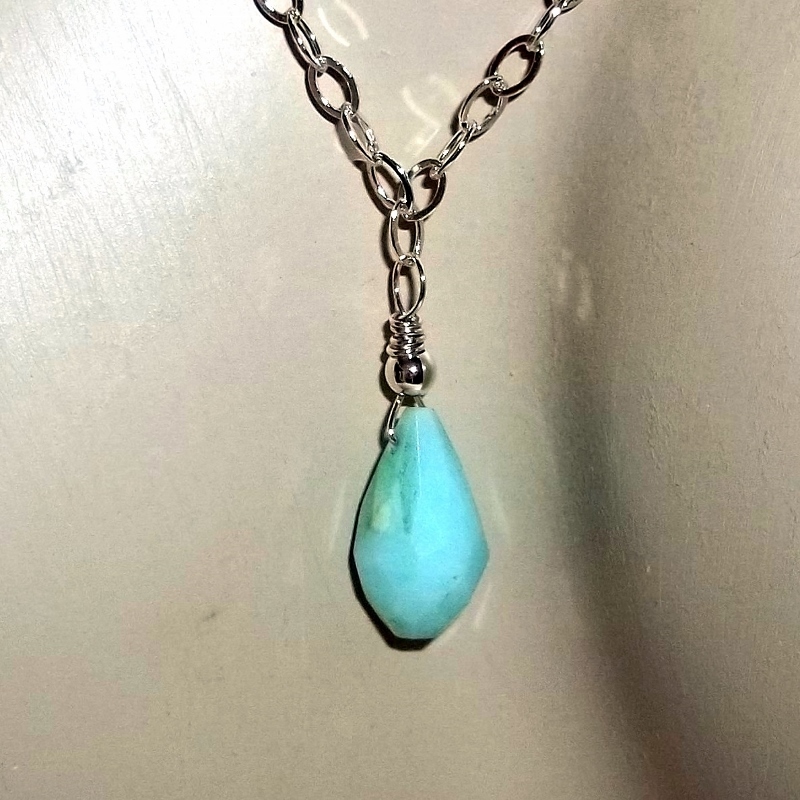 Blue opals also heal respiratory problems and allergies. Opal is the October birthstone. 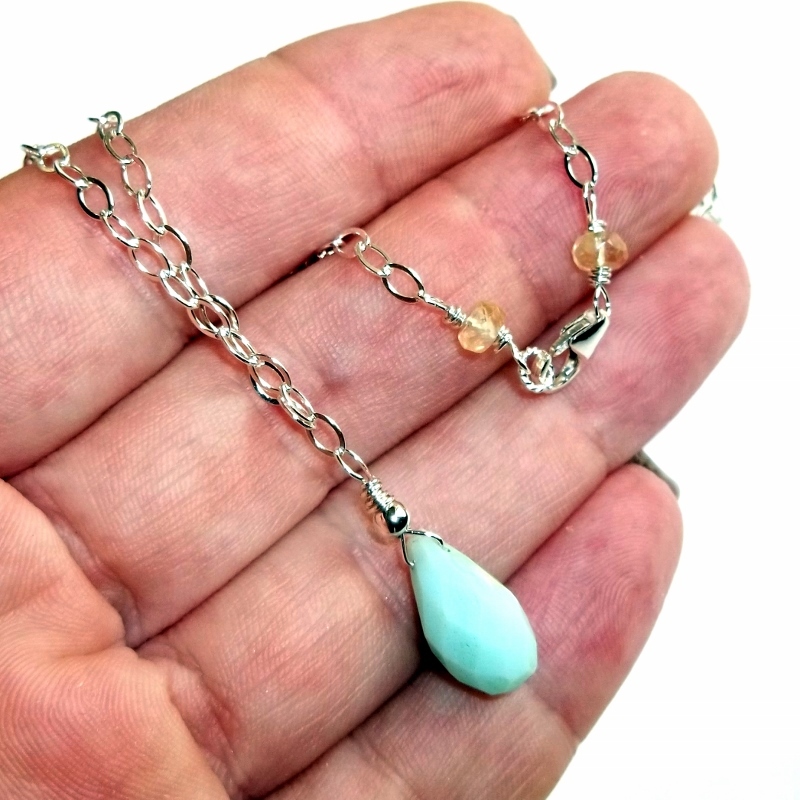 Peruvian blue opals are mined only in the Andes mountains of Peru. 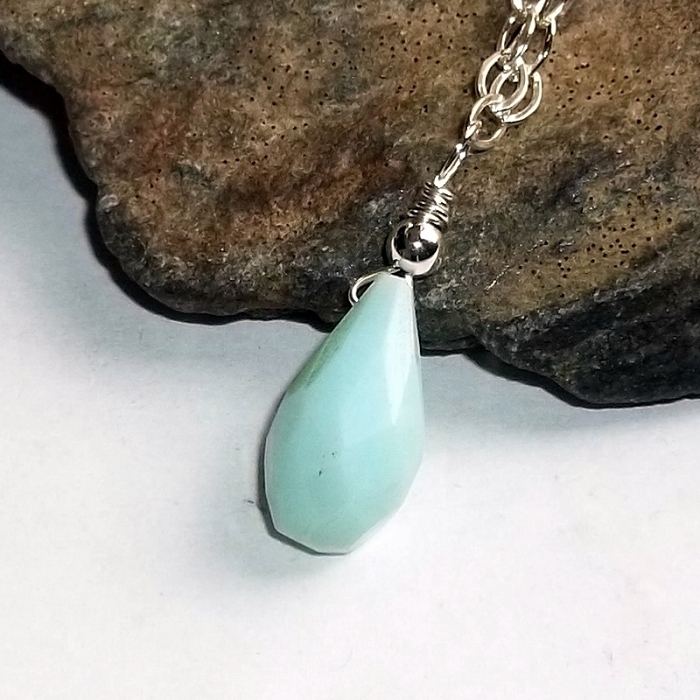 Peruvian blue opal at the focal is a large faceted teardrop, 14 mm x 8 mm, pale blue. Citrine stones wire wrapped into the clasp are 5 mm faceted rondelles. Necklace is finished entirely in sterling silver with a lobster clasp. Total length 18 inches. Please note: I cannot guarantee any international delivery times. Customs may decide to hold your package or you may be ordering an item that is restricted in your country. Please check your country's import laws before ordering. Any customs fees or duties are the responsibility of the buyer. Copyright earthegy. All Rights Reserved.